If you are considering home removal, student removals, office removals in Leyton, E10 or you are moving abroad then a lot of work is ahead of you. You will have to deal with countless chores and tasks so that the process goes smoothly. Months of preparation and work are ahead of you, so you must be ready for everything. This can include improved surroundings, new facilities, more space, cheaper living and more. A new building for your business can help you succeed, a new student flat can make travelling to lectures easy and international removals can make all of your dreams come true. If you are unsure about how to tackle your relocation, call Moving Service on 020 8746 4402 and we can handle everything. It is a district that forms part of the Borough of Waltham Forest. It is in East London and is 6.3 miles of Charring Cross. 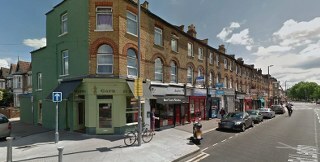 Nearby places include Walthamstow, Leytonstone, Stratford, Homerton and Lower Clapton. Its postcode areas are E10, E15 and E20. Neighbouring postcode regions are E3, E5, E7, E9, E11, E13, E16, and E17. The area is in the lower Lea Valley, with the River Lea forming its western boundary. A Roma Cemetery and villa have been discovered here. The ancient church St Mary was reconstructed in the 17th century. The area only officially became part of London in 1965, though it had always used its postal district. Today, the district is one of the most diverse areas of London. Over 60% of the population has origins in Russia, North Africa, Nigeria, Jamaica, Ireland, Italy, Poland and more. Spitalfields Market is based here and is the UK’s leading horticultural market. Pubs and bars are common and the retail section is fully represented. There is an assortment of restaurants and Coronation Gardens is a major open space. Removal in Leyton , E10 will take a lot of work. You will have to carefully plan and prepare for the procedure months in advance so that everything is completed before the actual day. Goods must be wrapped up and placed in boxes so that they be safe to convey. You will need a wide range of quality materials to do this and a suitable removals van is essential for securely getting your goods to your new address. Furniture removals and carrying other large goods can test your strength and patience. Worrying about this though should be the last thing on your mind because Moving Service can help. As a top removals company in E15 area, we can help you with the entire process so that things are successful. We can give you a good piece of advice and information when you call, so that you are informed about the chore. We can send a top team of movers to your address who will be able to tackle everything so you don’t have to. 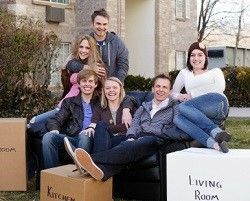 Our movers will help pack goods, provide packing materials, transport items, carry goods and much more. Our removals services will cover everything you require. You can book our removals services over the phone and we can help with the entire move or just the aspects you need support in. Our free quotes ensure that you get the perfect experience and the best deal. For more information and your free estimate, call us today on 020 8746 4402.